Leaders should specify in their E-Rate applications and contracts with Internet service providers that they require neutral service. The recent demise of net neutrality could threaten reliable Internet connections by raising prices, slowing downloads, and blocking some content, which could strain district finances and create headaches for teachers who use multimedia resources for teaching and testing. The now-defunct federal net neutrality policy, which ended June 11, barred ISPs from prioritizing web traffic or content. Critics are concerned that deregulation will pave the way for some providers to create “fast lanes” that allow some content to load or stream faster than others or require users to pay extra for some kinds of content. Some advocates have also said that the end of net neutrality could stifle innovation by making it harder for smaller education technology companies to operate and for teachers and students to access their content. Some states, such as New York and Montana, are trying to maintain regulations at the state level through executive orders. Washington state has enacted its own net neutrality legislation that ensures providers treat all traffic and content the same. If they’re concerned about “throttling”—which occurs when content from some sources is delivered intentionally at a slower pace—leaders should specify in their E-Rate applications and contracts with Internet service providers that they require neutral service. 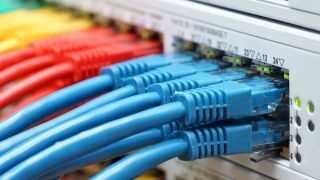 Unlike individual consumers, school districts have some leverage to negotiate their terms with Internet service providers.